Brief Synopsis –The Tramp joins the police force and must try and create order on a street filled with criminals. My Take on it –This is a Charlie Chaplin film that I had never seen before. Seeing him as a police officer is quite funny and I laughed at most of his antics during his fights against the criminals inhabiting the street that he must patrol. 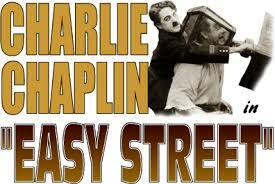 Typical Chaplin comedy routine filled with chases, backside kicking and of course mistaken identities galore. This isn’t one of his best, but it still is quite enjoyable to watch. Bottom Line -Another funny Chaplin movie featuring the Tramp. His antics are quite funny and I loved the way he chooses to fight every criminal that he encounters. Recommended!